The film 'PM Narendra Modi' has come under a cloud, with opposition parties alleging that its release was originally planned for April 5 with the intention of influencing voters in the run-up to the Lok Sabha elections. Bollywood actor Vivek Oberoi plays the role of Narendra Modi in the film. 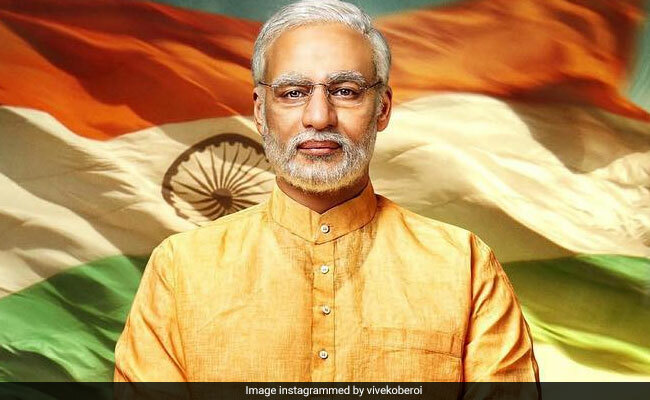 The release of 'PM Narendra Modi' -- a biopic based on the Prime Minister -- has been postponed amid a raging controversy over alleged election rule violations, with film producer Sandip Ssingh announcing on Twitter that it will not hit the theatres tomorrow. "This is to confirm that our film 'PM Narendra Modi' is not releasing on 5th April. Will update soon," read a tweet posted by the filmmaker today. No additional information was provided on the matter. Another tweet by film director Omung Kumar followed, but it didn't help clear the air either. "Suspense!" he tweeted. "The film isn't releasing tomorrow, not on 5th April. But it'll be done soon, you'll get to know. We don't want to tell you the date now. Opposition had come forward, tried things. It's late but we know what date to release it on." However, news agency PTI quoted sources in the Central Board of Film Certification as saying that the film is yet to get its nod. 'PM Narendra Modi' has come under a cloud, with opposition parties alleging that its release was originally planned for April 5 with the intention of influencing voters in the run-up to the Lok Sabha elections. Earlier today, the Supreme Court had fixed April 8 as the date for further hearing a Congress leader's petition against the movie launch at this crucial time. The petitioner -- Congress spokesperson Aman Panwar -- stated in the plea that allowing the movie's release a few days ahead of the polls would go against the idea of free-and-fair elections. He also claimed that the movie was produced by four BJP office-bearers. Last week, actor Vivek Oberoi -- who played PM Modi in the film -- appeared before the Election Commission in connection with a complaint filed by the Congress. He, however, remained defiant. "Everyone has a constitutional right to make a film they believe in, to release it when they choose to release it and the viewers have a right to watch it, consume it, enjoy it. Does somebody ask an actor why they release their films on Eid or Christmas or Diwali?" the 42-year-old actor mused in an interview with NDTV. Mr Oberoi had taken potshots at the Congress on a previous occasion too, saying that its leaders were scared of the "chowkidar's danda (watchman's baton)". He rejected allegations that the film's release violates the Model Code of Conduct, saying that the objective was simply to pay tributes to an extraordinary personality who is loved the country over.